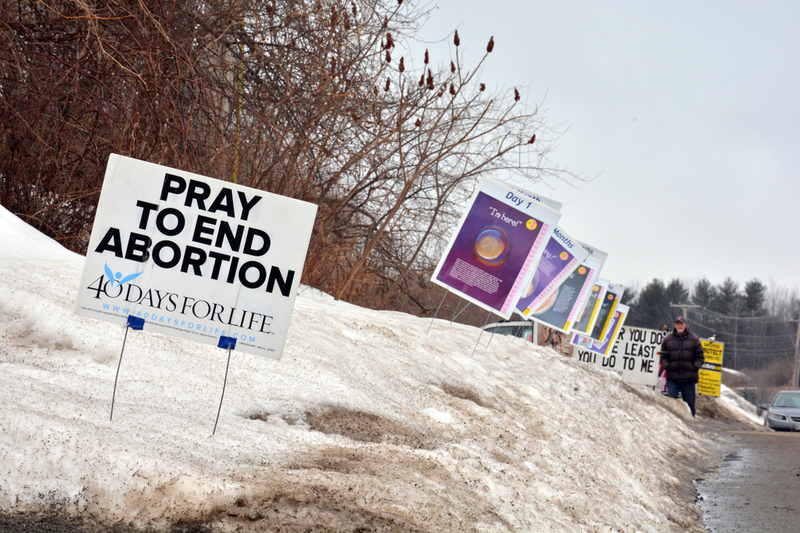 Beginning February 14 and lasting 40 days through March 25, anti-abortion picketers are gathered every day outside the Maine Family Planning clinic in Augusta. Bearing deceptive signs and posters, their goal is to shame and intimidate patients who come to us seeking all types of health care, including abortion. Unsurprisingly, this noxious demonstration takes its toll on our dedicated staff, who must pass by the protesters and their paraphernalia just to get to work in the morning! That’s why, for 2018, we are shifting the focus of our famous “Pledge A Picketer” campaign. This year, we’re asking supporters to Pledge A Provider instead. The protesters are here for 40 days. But we’re here day in and day out, on the front lines of reproductive health. From caring for our patients to staffing our call center, from performing abortions to educating Maine’s youth, each of us helps provide comprehensive reproductive health care to Maine women, men, and teens. As part of the #PledgeAProvider campaign, we’re introducing you to some of the folks who do this work in Augusta and at our 17 other locations statewide. By making a gift to Maine Family Planning during this time, you support the people who put reproductive rights into action every day.